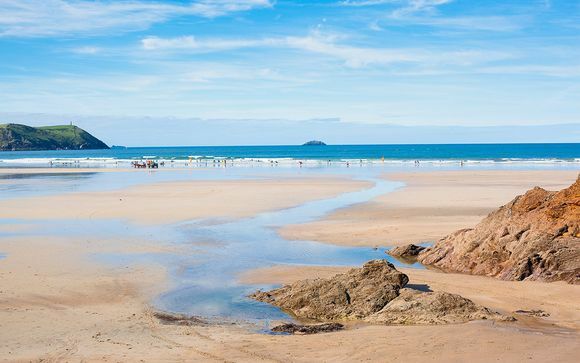 Within easy walking distance of award-winning Polzeath beach - a surfer's paradise where there are also numerous boutiques, lively cafes and great restaurants. The four bedroom property sleeps up to 8 adults for a self catering stay - perfect for a family summer holiday. 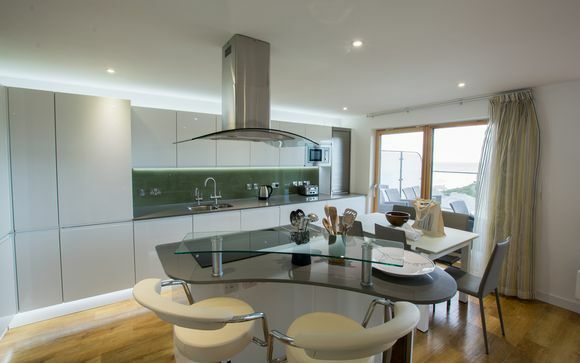 This property is within easy walking distance of award-winning Polzeath beach and its many amenities. With its vast expanse of golden sand and crashing waves, the beach is very popular for surfing, and is watched over by lifeguards in the summer months. Polzeath also boasts numerous boutiques, surf shops, fabulous restaurants, lively cafes and convenience stores. Port Isaac - a charming seaside town is just 15 minutes drive away where you will find lively cafes and a daily fish market. The famous watersports haven of Rock is also only a short drive away, where you’ll also find the famous St Enodoc golf links, or you could take a short ferry trip from Rock to try Rick Stein's famous seafood restaurant. A large cottage overlooking the sea, Solan is the perfect base for your Cornish adventure. 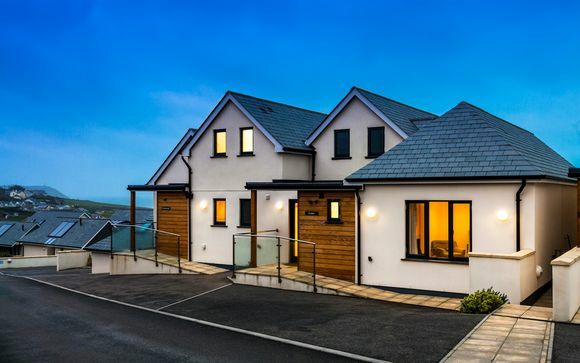 The property is spread across 3 levels with the kitchen / living area at the top to make the most of this cottage's superb sea views, this living leads onto a balcony where you can admire the views with the sun warming your face. Each room has been thoughtfully decorated to create a home-away-from-home! This cottage features 3 bedrooms and a TV room on the first floor with a plush double sofa bed. You will have the choice of king/Twin rooms with en-suite bathroom & balcony, a standard Double Room, & a Twin Room with en-suite & balcony. Please note: All linen & towels are provided (guests must provide their own cot linen) & dogs are not allowed. 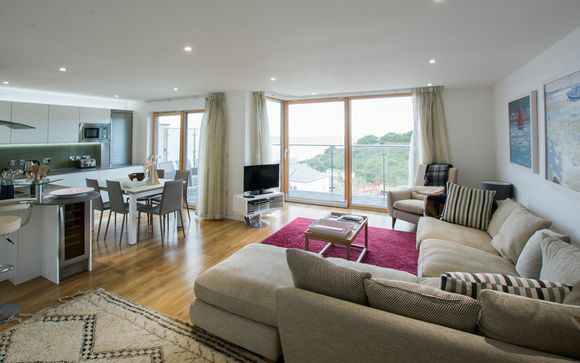 This sun-drenched living area features an open-plan kitchen where you can cook up your favourite meals. Your kitchen is equipped with an electric cooker & hob, dishwater, fridge/freezer, wine cooler, washer/dryer & microwave.